Have you ever ruminated over the sort of track that gets added to the F1 calendar in modern times, almost exclusively it seems: that which is purpose built from ground up especially to hold an F1 event, is super safe, has gleaming facilities, no expense is spared, and all is bankrolled by the national government keen to promote the country? And have you in turn wondered which venue was the first of these? (And if the answer to either of these two questions is 'yes' then well done for being about as nerdy as me). Well, the most likely answer is Hungary's Hungaroring. The Hungaroring debuted as an F1 host in 1986, constructed in just the seven months prior to the event on a greenfield site not far outside the city of Budapest. And 27 years on (gulp) it's easy to forget what a complete step into the unknown this represented for both the F1 circus and its hosts, stepping as the fraternity was behind the Iron Curtain into the 'Eastern Bloc', as Hungary was then part of. Without hyperbole, neither party had the first idea what to expect. Bernie Ecclestone - F1's very own Henry Kissinger - had eyed a race in the Eastern Bloc for some time, and indeed as early as 1983 a street race in Moscow appeared on the provisional F1 calendar. That plan foundered on insurmountable bureaucracy, but by 1986 Hungary, always the most outward-looking of the Eastern Bloc countries, stepped in and Bernie was sold on the idea. The initial event was all in considered a success. Even though the track was incredibly slow, tight and twisty particularly by the standards of the age (though that was in part down to a detour being required in the early years because of an underwater spring), overtaking opportunities were few and the track surface was very slippery, there were plenty of pluses. The facilities were immaculate as mentioned, and most of all a staggering 200,000 came through the gates on race day, including some from East Germany, Czechoslovakia and elsewhere. And today that's broadly how things remain at the Hungaroring. A twisty track and low grip surface, overtaking difficult, and a large, enthusiastic, multi-national crowd in attendance. It's popular especially with those from countries that don't have their own race, most notably Finns (and Poles in the days on Robert Kubica - to the point that when Kubica retired early from the 2010 race you almost expected half of the attendees in the grandstands to depart at the same time). And as is often the case its popularity has crept up over time, probably reflecting the increasing sanitation of the other tracks that fill the calendar. I'm told that most drivers enjoy pushing a car through the Hungarian track's acrobatic swerves. It also has developed a knack, somehow, of being the stage of where every so often great drivers put in great drives. One can think of Nigel Mansell's against-all-odds beating of the McLarens in 1989, Damon Hill oh-so nearly pulling off the biggest shock win of all time in the Arrows in 1997, Michael Schumacher's suspension of normality to win in 1998, and Fernando Alonso's astonishing progress in the wet in 2006. Form this weekend again may be a little hard to predict. And without wishing to bore you it once again seems that the Pirelli tyres have to enter heavily into our equation. Just as in the Nurburgring last time out there are new tyres for the teams to deal with for the Hungaroring visit, though they all (Mercedes aside) at least had a chance to give them a run out in the recent young drivers' test, and that it was at Silverstone in high temperatures will have meant a punishing work-out. The consensus is that major order reshuffles are not to be expected, certainly not in terms of single lap performance. The tyres behave much as before though degradation is lower. And blow outs - touch several bits of wood - seem to have stopped. If the Nurburgring taught us anything though it's that changes to tyre design don't necessarily manifest themselves in the ways that we expect. And as Autosport has noted perhaps, counter intuitively, the more durable rubber will in fact help the likes of Lotus and Ferrari, two cars noted for being easier on the tyres. 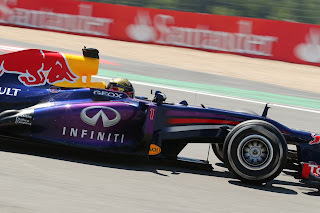 It may allow them to run the softer tyre during the race as a default, as well as to push on them more. And we've already seen that it'll encourage Pirelli to bring softer compounds, given the supplier has reversed its previous decision to go conservative at Hungaroring, and as last year it brings the soft and medium variety of its product after all. Hungary is also a track that a strong aerodynamic balance, particularly at the front end, is necessary; it's not a track that cars can be hustled around with great success. And as we saw twelve months ago it can show up an underperforming car rather ruthlessly: then Alonso was some 32 points clear at the drivers' table top following two wins and a second place in the previous three rounds. But in Hungary the rug was pulled from underneath the F2012, showing up its handling shortcomings which eventually were to cost it the title. 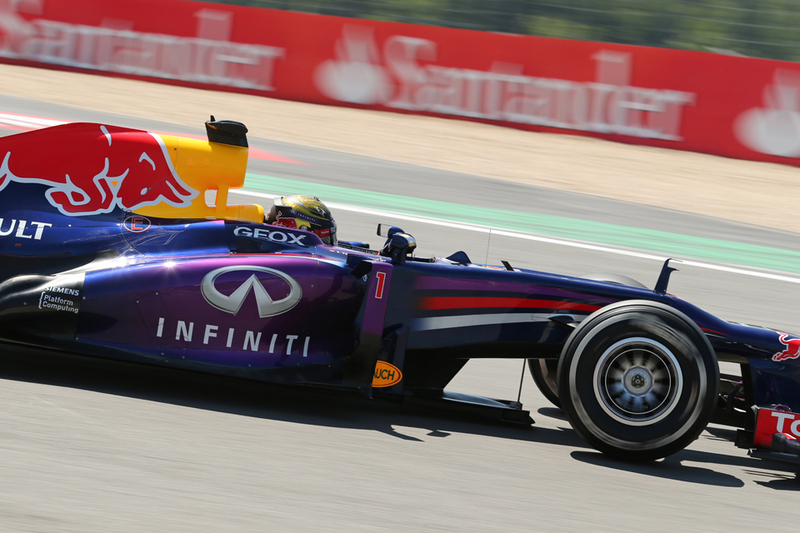 Who can usurp Sebastian Vettel? 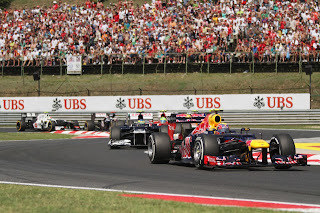 Time was when the Red Bulls at the Hungaroring could count on being a second a lap faster than the next best (see 2010) and even now, while such an advantage this time may be fanciful, it seems highly unlikely that they won't be contenders in qualifying and the race - especially in Sebastian Vettel's hands. A circuit requiring a lot of downforce, and with lots of corners and not much in the way of straights, will suit the RB9 just fine. But it could be that the tyres will be the Bulls' relative bugbear. Tyre wear is usually high around the Hungaroring given the number of corners, and this will likely be exacerbated by the ambient temperatures this weekend which are expected to off the clock. As mentioned the compound selection is aggressive too, and there's also the matter of the new slower pitlane speed limit introduced this weekend, down from 100kmh to 80. This adds 4.1 seconds to the time in the Hungaroring pitlane and thus plays into the hands of those minded to change tyres on fewer occasions. And this means Lotus and Ferrari. One can imagine the situation on Sunday, that Kimi Raikkonen and perhaps Fernando Alonso are strong in the race, but that they have some traffic to clear if order to have a crack at Seb (who'll start near the front, natch). And Hungaroring isn't the place where you want to have to clear cars: overtaking has never been easy here and remains so even in the age of DRS, as staying close to cars ahead through the various long corners is tricky (having a second DRS zone between turns 1 an 2 seems rather unhelpful too). We could have something of a repeat of last year's race here (without McLaren winning obviously), wherein Kimi was the strongest on race day but had too much ground to make up and simply could not pass Lewis Hamilton for the win, or even get close enough for a stab, in the closing laps. And these two teams may have particular reason to regret the presence of Mercedes, whose cars are likely to qualify well, because they always do, but may also fall back in the race what with the tyres being so critical and that the Germany race showed that it hasn't resolved its tyre problems particularly given it can't 'swap' the rubber anymore. On Sunday we may well see a silver roadblock, and where it makes itself felt could go a long way to deciding the race. 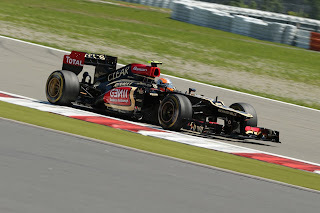 Romain Grosjean - what chance of a debut win? Lotus might not just be about Kimi however. We've witnessed Romain Grosjean in better form in the last two rounds, particularly in the Nurburgring wherein he might have won but for the mid-race safety car. 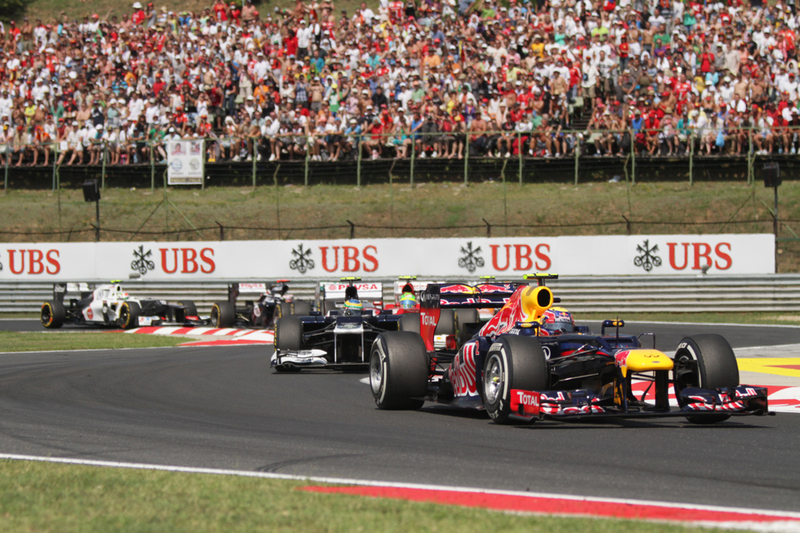 And the Hungaroring is a good venue for debut wins: Damon Hill, Fernando Alonso, Jenson Button and Heikki Kovalainen all took their freshman triumphs at this venue. What chance of Grosjean adding to the list? Then there's McLaren, which is on happy hunting ground at a track where it has won on five of the last six visits (and six of the last eight). But, even with the teams' Nurburgring improvement it's hard to see the team battling for higher than the mid part of the top 10, barring freak occurrences. But among those who are expected to contend for the win, the heat is on this weekend in more ways than one.